Rapid carbon capabilities. 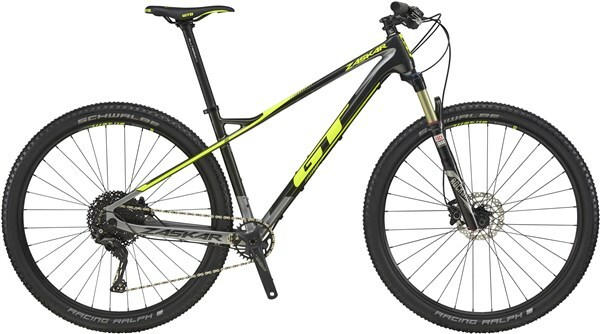 The GT Zaskar Carbon Comp 27.5 X is a fast hardtail mountain bike that combines the speed of a cross country bike with the rough track abilities of a trail MTB. Building on the long heritage of the Zaskar name the lightweight F.O.C. carbon frame offers capable trail performance with a speedy cross country slant. Short chainstays and a relaxed head angle offer refined trail manners while the tapered head tube improves front end stiffness. The Shimano SLX 1x11 speed drivetrain offers slick shifting over a wide range of gears for taking on all the varied gradients on your route. Shimano hydraulic disc brakes deliver confident stopping power in all weather conditions. 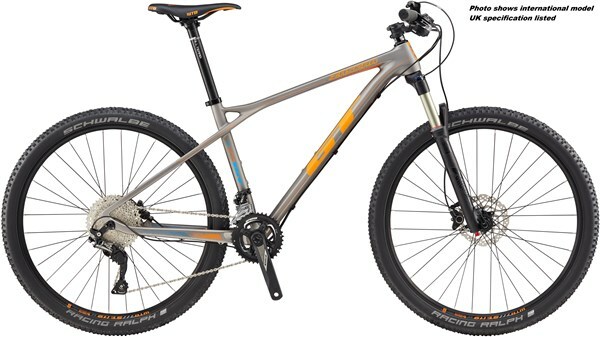 The GT Zaskar Carbon Comp is a quick and capable hardtail for XC adventures.